In a speech to launch a strategy to boost prisoners’ employment prospects, Gauke listed catering, construction and agriculture as sectors in which prisoners could plug holes left by workers from EU countries who had left the UK. FAQ: Can an employer dismiss an employee because they are in prison? The Prison Reform Trust greeted the announcement with caution, stating that while introducing prisoners to work was a vital part of their rehabilitation, safeguards would have to be in place to prevent any exploitation. Gauke acknowledged that migrant workers had played a vital role in the economy but said he thought the British public wanted as many UK citizens to be employed as possible. He added that the approaching skills gap should be seen as an opportunity by inmates and employers. 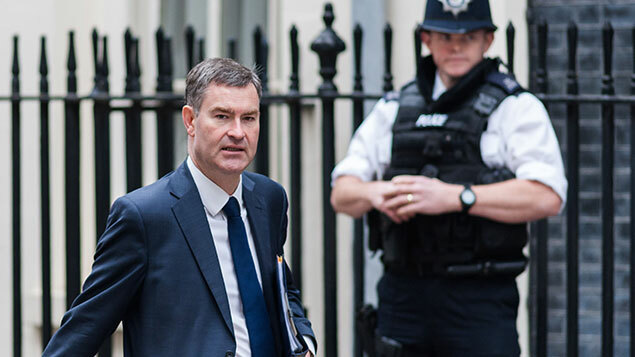 In the speech, delivered at HMP Isis, a young offenders institution in Thamesmead, south-east London, Gauke urged employers to take a role in establishing a “cultural change” to see more former offenders offered work. This, he said, would reduce reoffending and save the UK economy £15bn a year. Gauke’s comments on the use of ROTL are significant because the use of the scheme has fallen by more than a third over the past four years, partly because of a few cases in which prisoners have misbehaved in some way and also through policy changes by former justice secretary Chris Grayling. This has led to prison officers being reluctant to use the scheme. The government and the Prison Reform Trust (PRT) have pointed out that inmates taking part in ROTL are properly risk-assessed and that failures in the scheme make up less than 0.1% of the total. In 2016, according to the PRT, there were 17 failures as a result of alleged further offending – the equivalent of five arrests per 100,000 releases.